My dogs want me to tell you that while they received complimentary samples of Smart Cookie dog treats (and devoured every last one of them), all opinions belong to them. They also want me to tell you that any errors in dog-to-human translation are entirely my fault. Should I make my pooches sound less hip than they actually are, that’s on me. 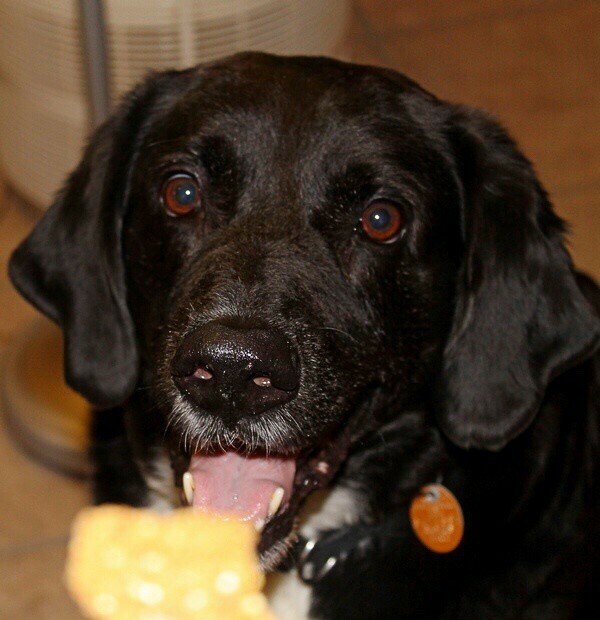 That said, I don’t need to be Dr. Doolittle to tell you that my dogs are totally bonkers for Smart Cookie Dog Treats! I can almost guarantee that your dogs will too. Why? Because YOU get to decide what goes in them! 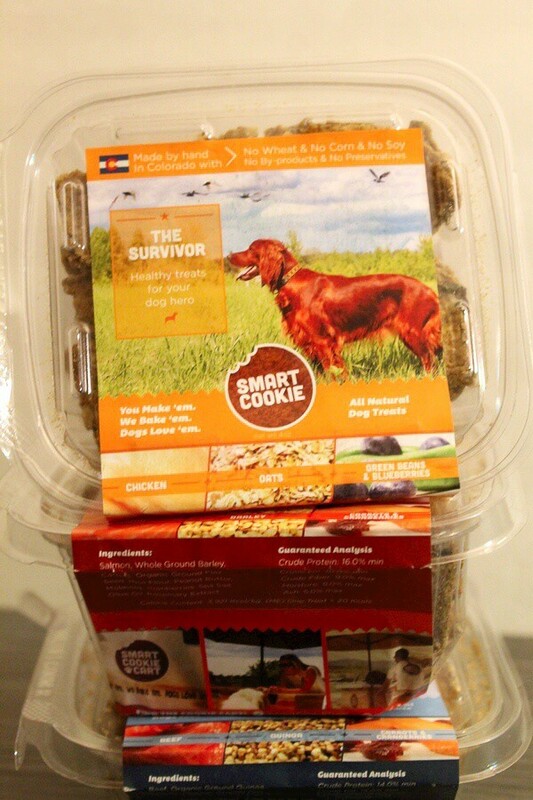 What are Smart Cookie Dog Treats? 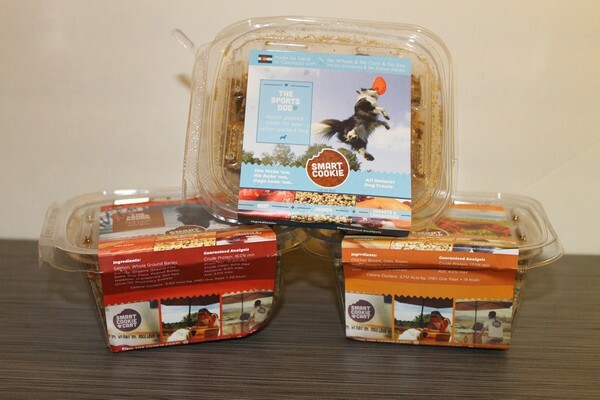 Smart Cookie Dog Treats are delicious, wholesome treats that you create. The company was founded on the principal that treats should focus on YOUR dog’s lifestyle and needs. Who knows that better than you? That’s why you get to design the treat. You choose the protein, carb and the fruits & veggies. Then the experts at the Smart Cookie shop bake them up and ship them out. Creating your custom blend is easy. You have three choices of protein (beef, chicken and salmon), four carbs (barley, brown rice, quinoa and oats) and two choices for your fruits & veggies. Not sure what to pick? The Smart Cookie treat customizer tells you about each ingredient. Choose your blend, order and wait for it to arrive. Now, if you’re like me and either can’t decide what to get or simply have three VERY different dogs, I HIGHLY suggest The Sampler. It comes with three different blends: The Prima Dog (Maia’s favorite), The Sportsdog (Tasha’s blend) and The Survivor. Cooper LOVED The Survivor. While it’s designed for SAR (search and rescue) dog lifestyles, Cooper is a survivor in other ways. He is a rescue and spent the first six months of his life trying to survive horrible conditions. 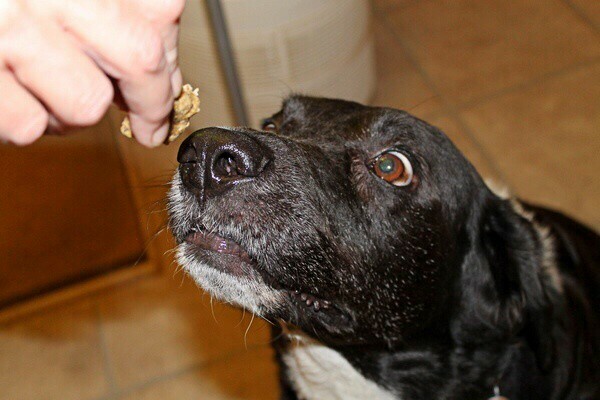 Speaking of Cooper, you should have seen his face when he realized treats were in the house! I didn’t tell the dogs that they had mail. Every time they get treats, I open my mouth too soon and they bug me while I take pictures. This time, I quietly opened the box and started shooting pictures. Cooper was sitting about five feet away. The second I popped open one of the containers, he made a sort of “huh?” sound and popped up. He was at the table in a second. He KNEW I had stuff for him. He smelled the treats and wanted them NOW. The other two caught on real quick. The funny thing? Maia is totally a Diva and Tasha really was my sporty dog up until she hit age 12, when she finally slowed down. So each dog went for the treat designed for their lifestyle. That just shows how smart the people at Smart Cookie really are! Smart Cookies don’t just say they’re made with good ingredients, they SHOW you. Just look at those treats. 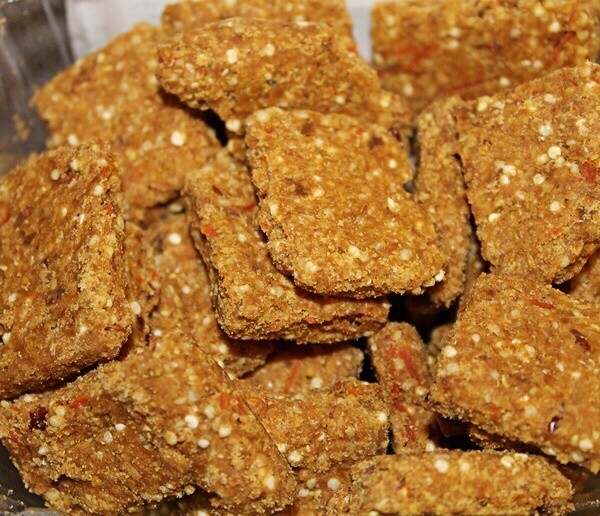 They’re crunchy and full of yummy goodness. Each container comes with a generous 9 ounces. The Sampler has a total of 27 ounces of treats for just $25, significantly less than most of the baked dog treats in my area. 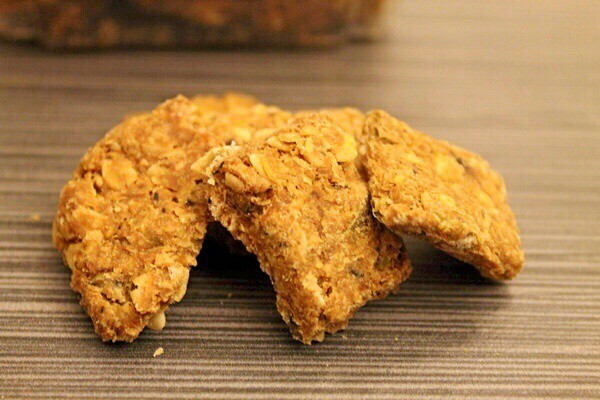 Ready to make your own Smart Cookie Dog Treats? Head over to the Smart Cookie Treats website and start customizing. If you have a hard time choosing, go with one of their specially formulated treat options. Follow Smart Cookie on Facebook and Twitter to keep up with news! Enter below for a chance to win The Sampler, a $25 value. Giveaway is open to US residents age 18+ and ends on May 14th. I think our dogs would like The Prima Dogna best. I think my dog would love the beef! Your dogs are absolutely adorable! He likes fish…so he’d probably like the salmon and barley. I want to win these for the little Dachsund puppy that my sister and I bought for my mom for mother’s day!!! Now most of the dachsunds I’ve owned/known are sooo active so I think that the sports dog treat would be perfect for our little Beezley! My dogs love Salmon so I’m sure they would like the salmon and barley treats. My doxies would definitely love the salmon! I have never heard of these dog treats. Thank you for sharing and thank you for the chance to try them. My dog, mimi would love The Prima Dogna. Does it smell fishy? Then my dog would love it. Thanks for the sweeps – we’re eyeing the salmon treats. I didn’t find it fishy smelling at all. In fact, it smells a lot better than many of the treats I buy in stores. Cooper noticed the scent right away, but I didn’t. I think they would like the salmon and barley the best as they love fish.